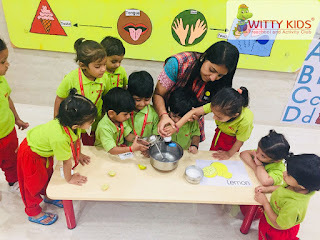 Tasty Lemonade can be made. 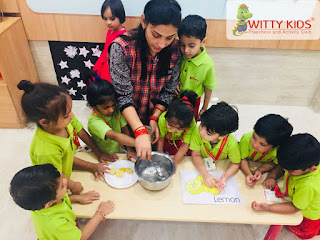 To take the recap of letter 'L' and sense of taste, Lemonade making activity was organized for the Nursery toddlers of Witty Kids, R.C. Vyas colony, Bhilwara on Friday, September 28, 2018 as a part of the self help skills they learn. It provided an opportunity to awaken the senses of curious minds to differentiate between the sweet, salty and sour tastes. It was a fun filled activity for the little ones. 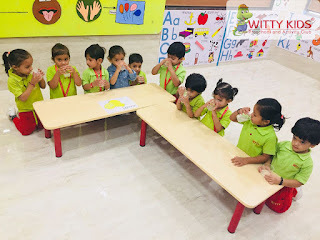 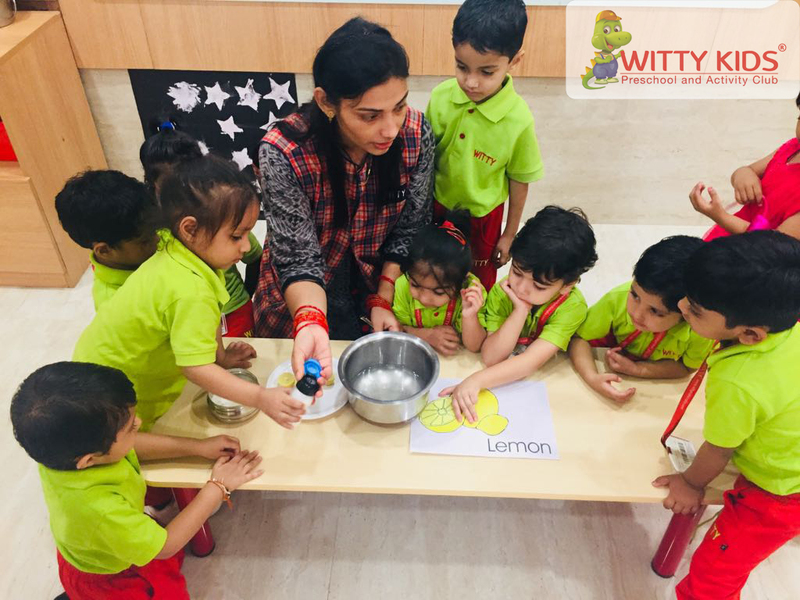 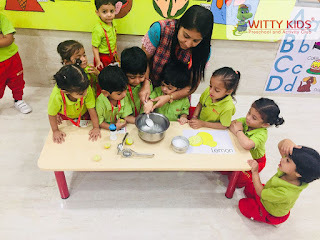 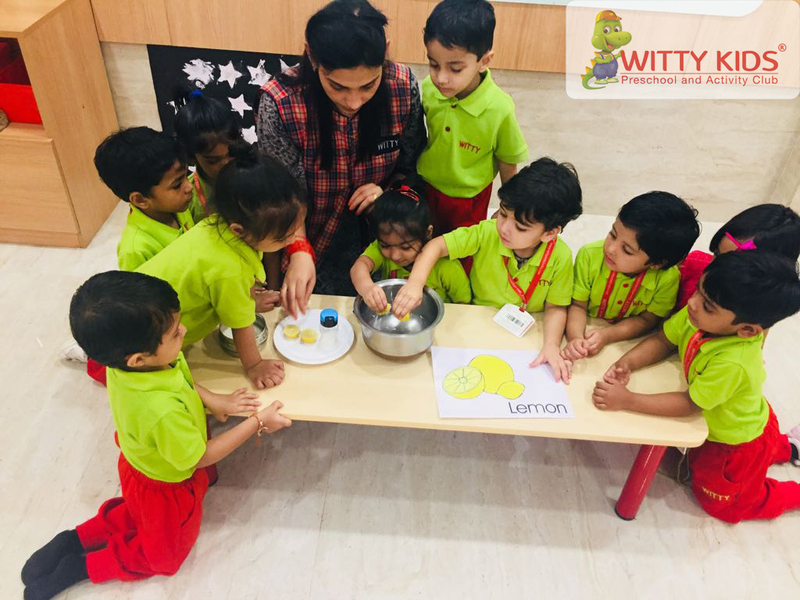 The tiny tots squeezed the lemons with the lemon squeezer and with their forefingers to take out fresh lime juice and dissolved sugar in the water with the help of the teachers. 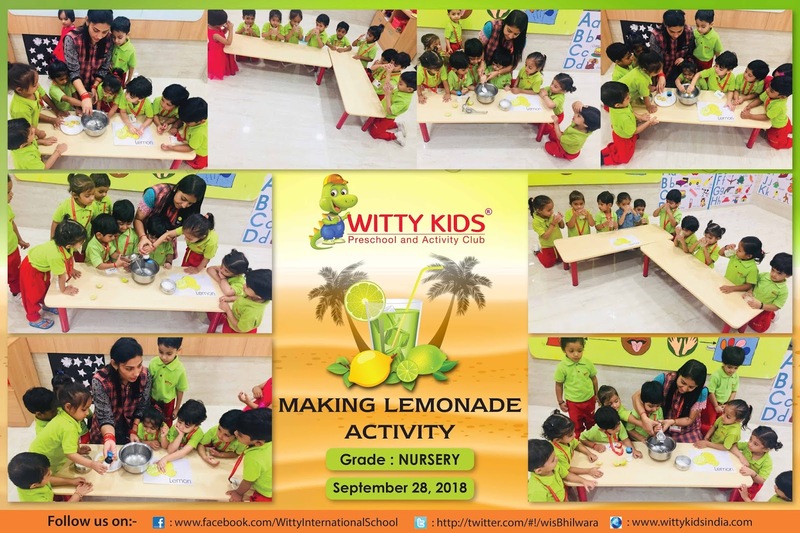 The activity ended on a fun note with the children getting to drink the product of the process!